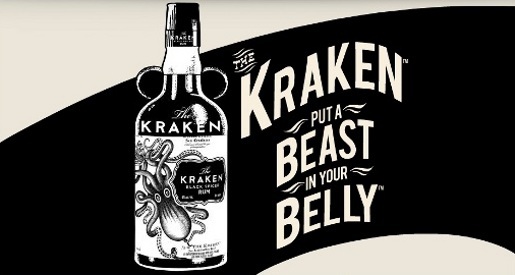 Black rum brand Kraken has been launched with a series of three online films exploring the mythology of the Kraken, legendary sea monsters of gargantuan size, said to have dwelt off the coasts of Norway and Iceland. A journey through the ever terrifying landscape that is The Anatomy of The Kraken. An Investigation Into the Myth of The Kraken. The Kraken campaign was developed at Dead As We Know It, New York, by creative director Mikal Reich, copywriter Elia Wilson, art director/designer Charmaine Choi, movie animator Ariane Irle, web developer Will Langley. Music was composed by Chris Hicken at Cantinero Music.